After nearly a decade of volunteering at AIAG – most recently as chair of our Export Compliance Advisory Group (ECAG) – Nissan’s Derek Hawn, Regional Manager, Export Compliance Americas Alliance Customs & Trade, has a unique perspective to share. Below, Derek reflects on current trends in the world of export compliance (and why it’s so important to stay aware and involved!) and discusses what it really means to be an AIAG volunteer. AIAG: Initially, what made you interested in being an AIAG volunteer? Hawn: I was new to Nissan as well as the automotive space. Most of my experience revolved around high tech. My manager at the time was a member of AIAG and put the request forward. I’m not shy, for the most part, so this started my journey with AIAG. I have been an active member since the fall of 2011. I have served as a member at-large, co-chair for the ECAG group, and subgroup committee lead for the TC-7 review. 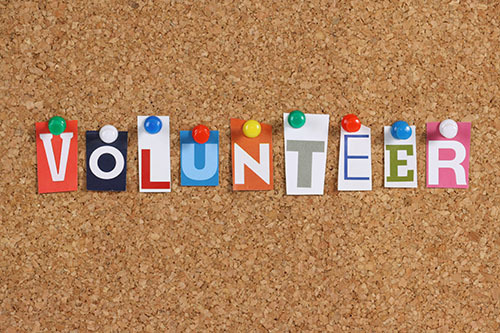 AIAG: What would you say is the single biggest benefit of being an AIAG volunteer? Hawn: I think the single biggest benefit of being a volunteer with AIAG is sharing experiences and lessons learned with like-minded individuals. Each of us is tasked with our day to day roles, however, we all dance in the same space. It’s good to have some partners along the way to bounce ideas off, share stories from the trenches, and keep abreast of regulatory changes. AIAG: What is one of your favorite memories of being involved with AIAG, or a recent project you’ve worked on that you are proud of? Hawn: My favorite memory is being part of the planning committee for the annual Customs Town Hall. It was the year Nissan sponsored the event. I was able to speak at the event to give a quick synopsis of Nissan, its efforts, and how our program helps to manage the associated risks. I was also given the honor of introducing some of our distinguished guests (i.e., George Wiese and Omari Wooden). It was a fun event, even if some nerves came into play. AIAG: You actively participate in the Export Compliance Advisory Group (ECAG) within the Supply Chain arena. What are you seeing in terms of some of the important trends within the world of export compliance, and why is it so critical to stay involved and part of the conversation? Hawn: The two items that seem to fluctuate the most over the past couple of years are, (1) sanctions posture by various governments around the world, and (2) increased enforcement for those who find themselves on the wrong side of the law, especially the banking arena. It is crucial to remain linked to other like-minded individuals who are guiding/steering their companies through the labyrinth of export compliance. We can lean on one another to explore opportunities to remain “best in class.” A recent trend is a push by several governments to explore how to control emerging or foundational technology controls. I think this effort, if fully deployed by the government, could have a serious impact on all OEMs. We will have to wait and see how this one develops, and ensure the group has productive conversations. AIAG: If you could encourage other automotive industry professionals to get involved with AIAG, and specifically the Supply Chain space, what would you say to them? Hawn: I’ll keep it simple: join, engage, develop. You’ll build lasting relationships with professionals in the industry. The time commitment is minimal, the wealth of information and experiences are invaluable. That ROI speaks for itself.